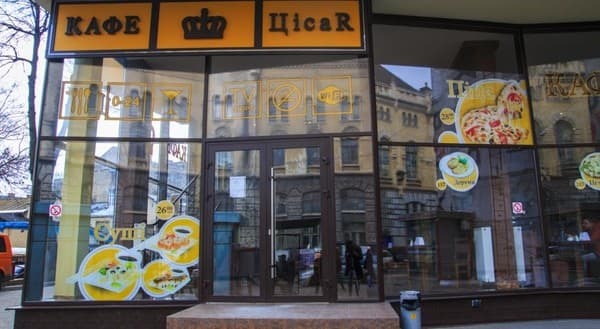 Hotel Cisar is located in the center of Lviv, a 15-minute walk from Rynok Square. There are 46 comfortable rooms for guests. All rooms are well furnished. 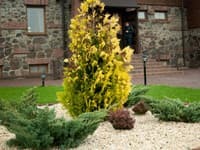 Each room has a private bathroom, comfortable furniture, a flat-screen TV and free Wi-Fi access. The reception is open around the clock. Guests staying at the hotel can make use of the bicycle rental service. There is a restaurant on site at the Cisar Hotel, and free private parking is available. Breakfast (buffet) is available for an extra charge. 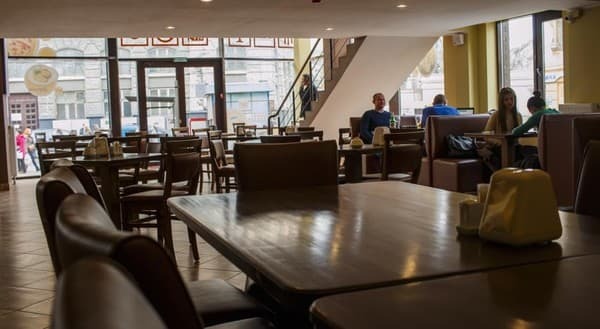 In walking distance from the hotel there are many cafes, bars, museums and local attractions. Distance to the international airport of Lviv named after Daniel Galitsky is 6 km, to the railway station - 3.5 km, to the bus station - 8 km. 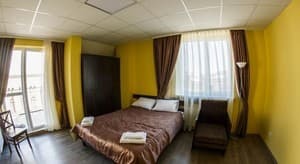 Description of the room: The room is equipped with two single beds and an armchair-bed. Description of the room: This room features a flat-screen TV and a private bathroom. Description of the room: En-suite room with a flat-screen TV. There are three single beds in the room. The room can be either three single beds or one double and a sofa bed. 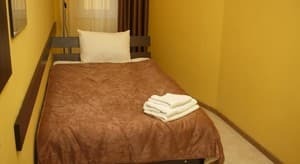 Description of the room: The room is equipped with one double bed or two single beds. Description of the room: The room has a double bed and a chair-bed. Description of the room: This room has a balcony and a private bathroom and a flat-screen TV. Чисто, приветливый персонал, недалеко от вокзала, рядом трамвайные остановки в центр и на вокзал, внизу кафе, где можно позавтракать. Есть лифт! Почему бы не сделать при входе в гостиницу пандус для чемоданов? Удобное расположение, цена + качество, лифт (!!! ), большой санузел. Children under the age of six, without providing additional space, are accommodated free of charge. Extra bed on request. 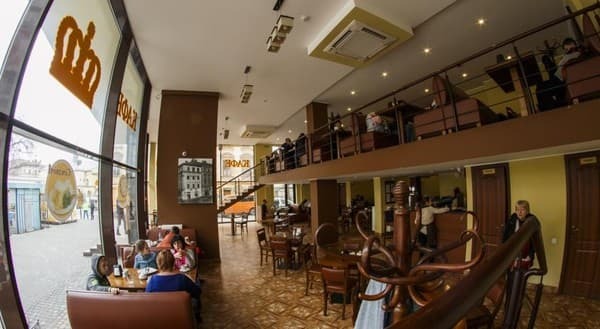 On the ground floor of the hotel building there is a restaurant where guests can eat. Breakfast (buffet) is available for an extra charge. 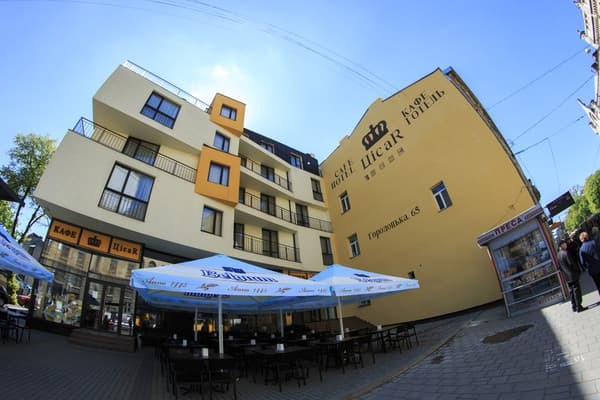 Hotel Tsіsar is located in the center of Lviv, a 15-minute walk from the Rynok Square. 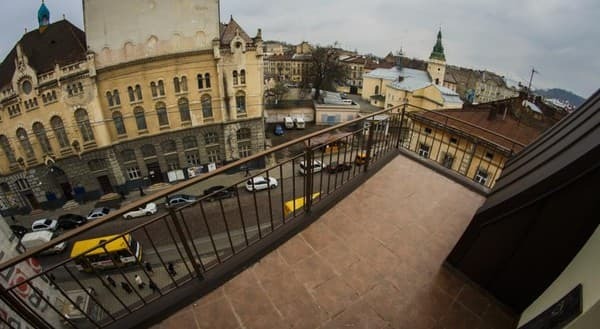 Distance to the international airport of Lviv named after Daniel Galitsky is 6 km, to the railway station - 3.5 km, to the bus station - 8 km. 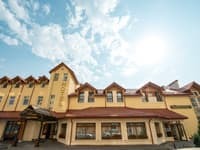 The hotel provides a transfer from / to the airport or from / to the station.